CodeceptJS allows to test mobile and hybrid apps in a similar manner web applications are tested. Such tests are executed using Appium on emulated or physical devices. Also, Appium allows to test web application on mobile devices. This test is easy to read and write. Also it will work both on iOS and Android devices. Doesn't it sound cool? Ensure that you have CodeceptJS installed. You will also need to install Appium. We suggest to use appium-doctor to check if your system is ready for mobile testing. If everything is OK, continue with installing Appium. If not, consider using cloud based alternatives like SauceLabs or BrowserStack. Cloud services provide hosted appium with real and emulated mobile devices. Then you need to prepare application for execution. It should be packed into apk (for Android) or .ipa (for iOS) or zip. To run mobile test you need either an device emulator (available with Android SDK or iOS), real device connected for mobile testing. Alternatively, you may execute Appium with device emulator inside Docker container. Select Appium helper when asked. You will also be asked for the platform and the application package. Here is the full list of capabilities. You need to upload your Android app (.apk) or iOS app (.ipa) to the BrowserStack servers using the REST API before running your tests. The App URL (bs://hashed appid) is returned in the response of this call. Mobile test is pretty similar to a web test. And it is much the same, if you test hybrid app with a web view context inside. However, mobile apps do not have URLs, Cookies, they have other features which may vary on a running platform. To start writing a test it is important to understand how to locate elements for native mobile applications. In both Android and iPhone elements are defined in XML format and can be searched by XPath locators. CSS locators are not supported in native mobile apps, you need to switch to web context to use them. Elements can also be located by their accessability id, available both at Android and iOS. Accessibility id is recommended to use for locating element, as it rarely changed. Native iOS/Android locators can be used with android= and ios= prefixes. Learn more. But how to get all those locators? We recommend to use Appium Inspector. Mobile applications may have different contexts. 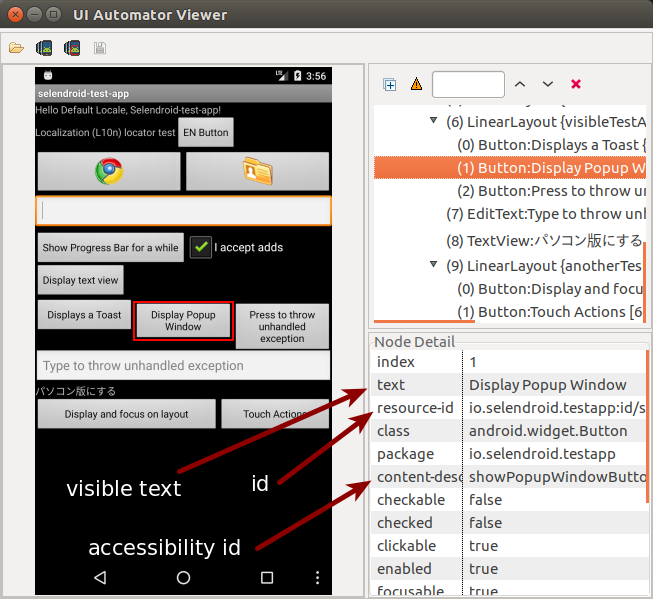 For instance, there can be native view and web view with a browser instance in it. Alternatively use switchToWeb or switchToNative methods to switch between contexts.